As game seven of the NBA Playoffs matchup between the Indiana Pacers and the Cleveland Cavaliers was winding down, Victor Oladipo took a meaningless last-second three-point shot. The shot ended up pushing the Pacers to cover the spread at a lot of sportsbooks. One Las Vegas official estimates that the Pacers covering the spread cost Vegas around $3-5 million. 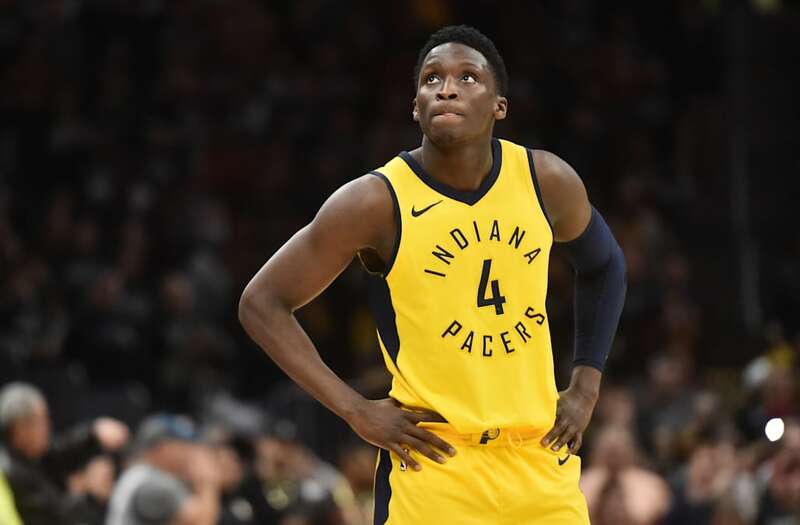 Victor Oladipo has had a sensational breakout season with the Indiana Pacers, including pushing LeBron James' Cleveland Cavaliers to a hard-fought game seven in the first round of the NBA playoffs. Oladipo was not quite able to take the game down to the wire, but that did not stop him from launching a last-second buzzer beater — and costing Las Vegas millions of dollars in the process. According to Darren Rovell and David Purdum of ESPN, Oladipo's last-second buzzer-beater was enough for the Pacers to cover the spread, as it cut the Cavalier's final margin of victory from seven points to four, and most sportsbooks had the Cavaliers at around 5-point favorites. "It was probably a swing of $3 million to $5 million in Nevada," Johnny Avello, the head of race and sportsbook for the Wynn in Las Vegas, told ESPN. At one sportsbook, 70% of the bets were on the Pacers to cover the spread. "These types of things happen five or more times a week in our industry, whether it's a two-run home run to cover the run line in the bottom of the ninth or an empty-net goal in the last minute of an NHL game," Avello said. You can watch Oladipo's costly shot below.